Some details about ZBrushCore are out. To me this looks kind of like ZBrush version for everyone. They said it was going to be streamlined and it sure seems that way. When I think about ZBrush 4R7 it sure has tons of systems in it and itself it could use some streamlining. It’s crazy, it has ZSketch Armatures, ZModeler, Dynamesh and Dynamic Subdivisional modelling engine, just to name a few features. You can do so much with it that it’s mind blowing, and the automatic retopology ZRemesher (post R6 versions) is crazy awesome good. But there are just so many different features that for a newcomer learning this program can be like uphill battle. So having more simple to use if less featured program for those who mainly work for 3D prints and such makes sense. And ZBrushCore has new features that the “full” ZBrush doesn’t have, such as one click optimisation for 3D printing and advanced export settings for 3D printing. If you only work for 3D print it doesn’t make much sense to have UV mapping tools I suppose. ZBrushCore still has basic 3D painting capabilities though and it can do basic BPR renders and Keyshot integration which is cool (but it lacks multi-pass export). The other advanced features that are missing are mainly SSS, AO, and the like, ZSketch, ZModeler, Fibers and Shadowbox and others. The number of brushes is limited to 30 vs 300+ in the bigger brother. The full list of differences is in Pixologic site. 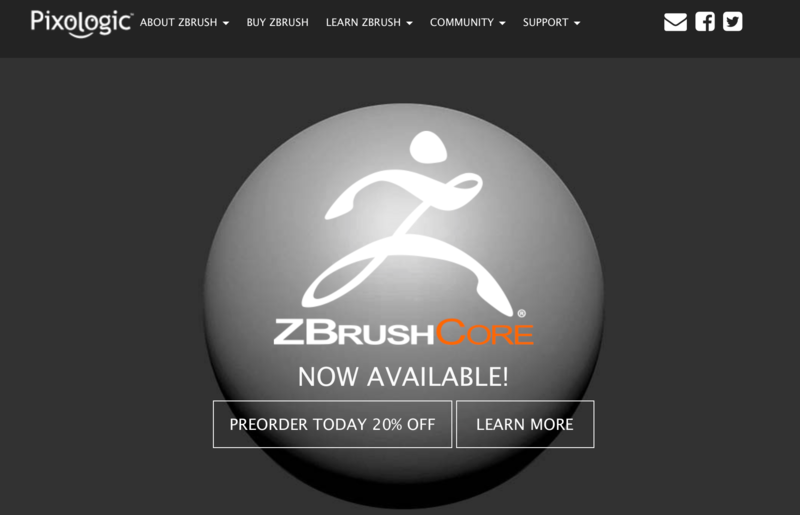 So what is ZBrushCore really? I would say it is entry level ZBrush optimised for serious sculptors who come from art school and want to get into sculpting anatomy and figures. This is great for that and costs about a hundred dollars. So I don’t know, why not I guess, although for game artist, the lack of re-topology and limited texture size would be problematic factors. Here’s a youtube video I made about this. What are your thoughts? Please write to the comments below. I crossed the 100 subscriber line yesterday. Really, thanks everyone who subscribed. Subscriber amount isn’t the reason why I do this but it feels nice that someone is watching and liking what I do. But no matter how many subscribers or likes there is going to be, I don’t think that the thing what I do will change. 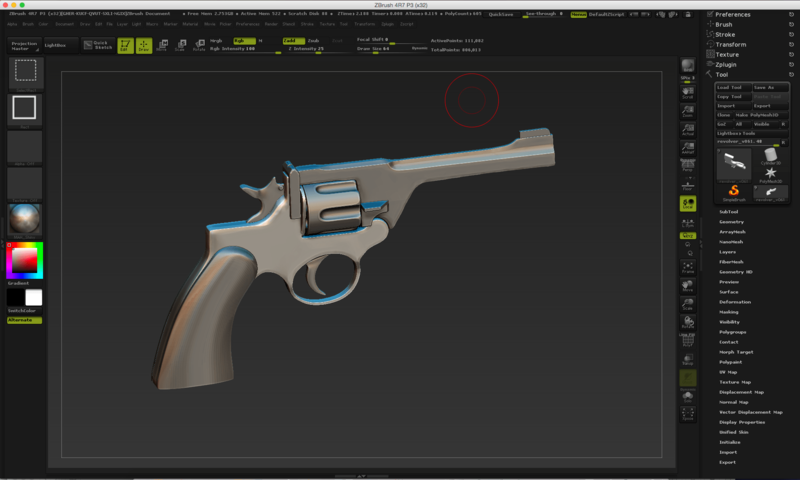 Curves in 3D Coat is a wonderful feature which allows custom spline models to be used with organic curve. Please enjoy this video tutorial to learn how to use this. You can create chains or any shapes using this handy too. You can use closed or open curves, or use the curve to create a filled shape. There are many instances where this tool can come very useful. This can be used to create tubes on a machine for example. It is also possible to brush along a curve. I will cover this in another tutorial. Please watch the video tutorial and I hope you enjoy it. Here is a little addition to my previous Lightroom tutorial regarding removal of chromatic aberration from RAW images. Here are some thoughts about importance of having a backup. Digital data is so fragile because once it’s gone, it really is, and there’s no way to get it back. I had a bit of issue with my WordPress site yesterday because I ended up making a mistake and overwriting the data. I was able to recover from a backup but this really reminded me how important it is to have one. I recommend to have automated solution such as Time Machine, which doesn’t require user intervention. Just remember to verify the backup every now and then to make sure it is safe. Since this blog is so important to me, I decided to invest into Vaultpress backup plan. I had my own home-brew system in place but it is cumbersome and restoring a backup is very slow since it basically depends on moving files via SFTP, and is really quite a hassle to recover. I had a bit of a glitch today with the site and this was offline for couple of hours during the most important business hours. Granted this glitch was my own fault, I kind of accidentally managed to overwrite data. The worst thing that can happen to a data basically is to be overwritten. Luckily I could recover from my backup, but thought, oh, why have I not made a better backup plan. What Vaultpress promises is a real peace of mind, plus they also scan the site for security threats, and even throw Akismet key on top. For 9 dollars it isn’t too much I feel, and now I can just fully concentrate making content. Basically, streamlining everything including the production schedule is always something to think about. We should be able to focus in creating new content and have peaceful rest in between. This is the ideal state of matters. So I think jerryrigging a backup solution might not be something I am interested in doing. Anyway, setting up Vaultpress was straightforward and fast, so far I have a very good experience with them. I will report more later. It seems there are some issues. Better hold off upgrading for a while. Are you going to join 2016 zBrush summit? I can’t make it to LA, but I’ll be there virtually. I’m mostly curious about zBrush Core. Is this a lower cost alternative to the full zBrush or something completely different? I have been extremely glad about my zBrush 4 investment. It’s been so many years since I bought it and there have been so many upgrades that have been completely free for me. And now there is even 64 bit version. Seeing the difference from the version that came in the cool Anniversary edition metal box is quite something. It feels like I have been part of this software’s development. If you are a sculptor or someone who comes from traditional art school, zBrush is definitely a worth to check out, even though recent versions of 3D Coat gives it run for it’s money . It all comes down to the very 3D sculpting tools built into zBrush that just are the best thing there is at the moment. Apogee Element Series Thunderbolt was just introduced for mac with multiple inputs and outputs. I love Apogee products. Especially my Apogee One for iPhone and Mac. Its the best audio interface I have ever owned what comes to sound quality. According to their announcement they have featured some of the best A/D and D/A converters so far. This got to sound good. They also have a solid looking clock source aboard to sync the AD/DA process. The devices look solid and cool as ever. Apogee website says “Built like a beast. Not like a beauty”. But I think their design is quite beautiful and simple. Element has has full Logic Pro integration and iOS controllers as well as the dedicated control remote. Entry level model Element 24 starts $595 while the high end Apogee Element 88 is $1495. Even the entry level model has professional features like Word Clock IN/OUT via BNC connections for syncing. Like Apogee One, even this one rocks mighty. What do you think of Apogee Element? Please feel free to comment below.